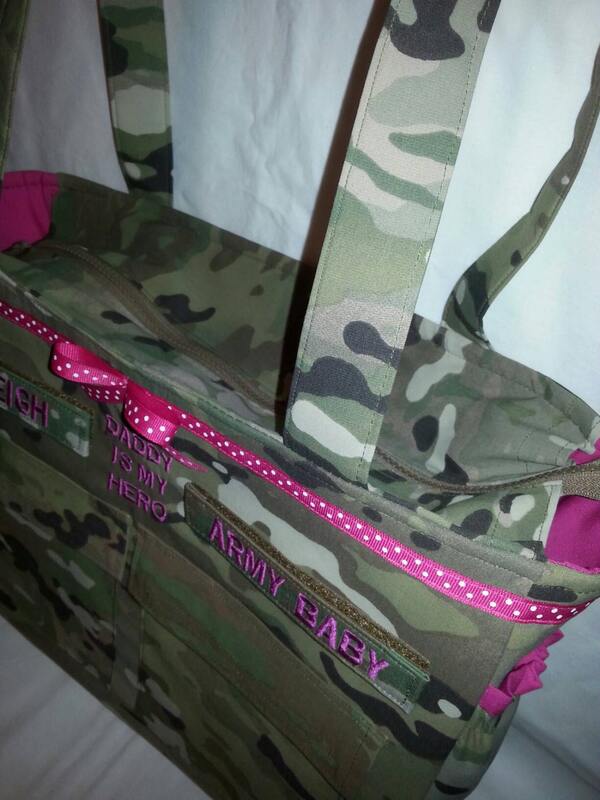 Handmade custom multicam ocp scorpion diaper or travel bag. 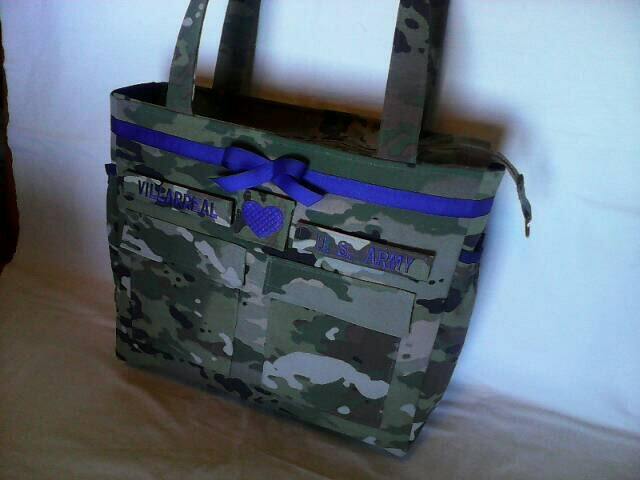 Multicam fabric with 10 pockets (4 outside and 6 inside). Elastic top bottle pockets on each outside end. 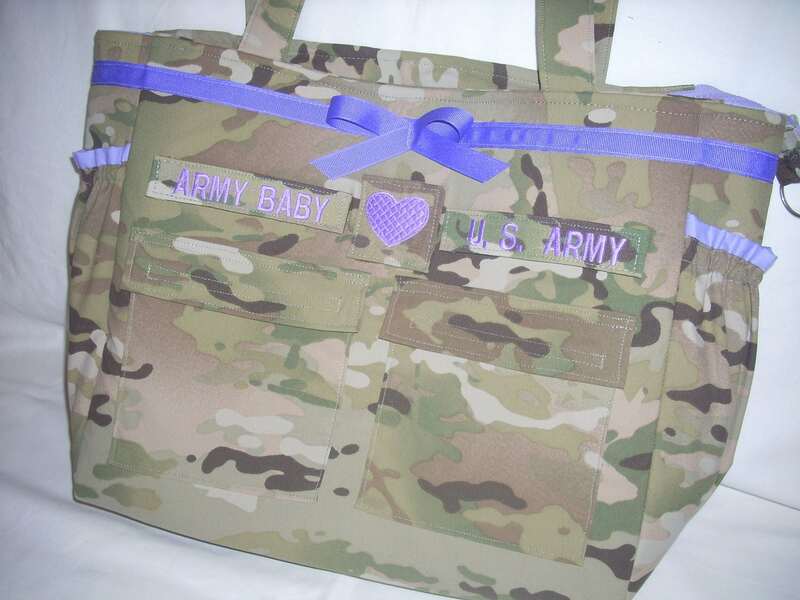 Your choice of custom embroidery, colors for embroidery, lining and ribbon/bow. Straps are long enough to go over shoulder. 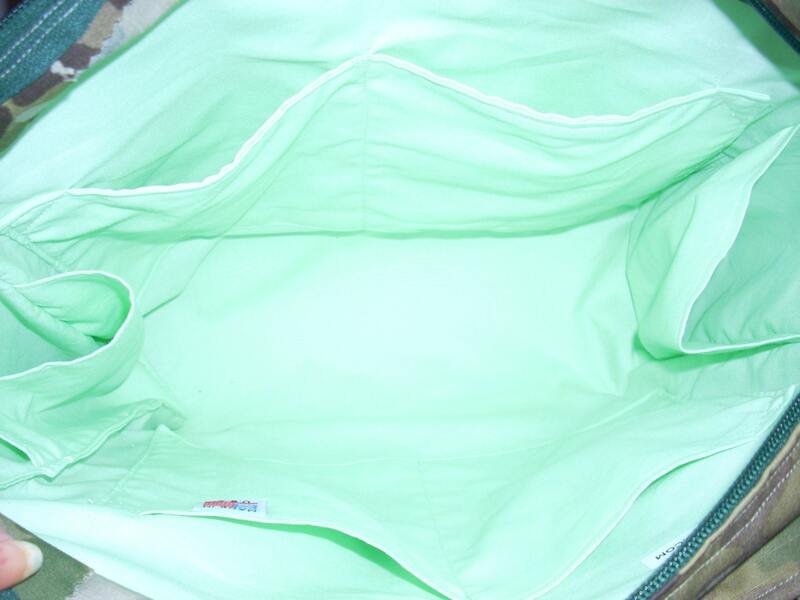 Firm interfacing allows bag to stand alone. Closes with a zipper. 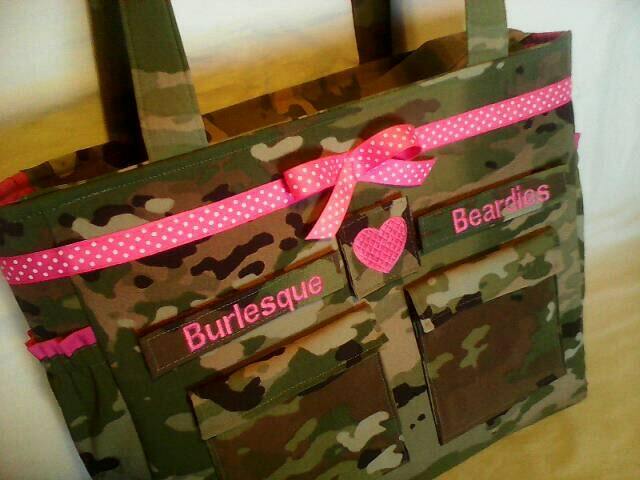 17"x 12" x 5" size bag. Pockets will be handmade if no shirt pockets available. 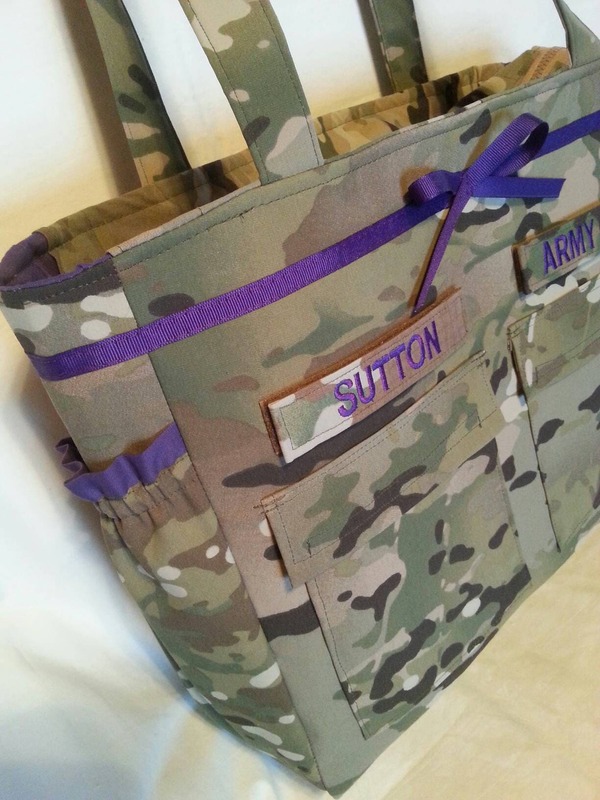 You may request I sew 4" by 4" soft Velcro on handmade pockets so you place your patches on the front pockets. FREE TAGS! TAGS ARE INCLUDED. Others may be cheaper, but no tags and poorer quality.